Sir Damon Marcus Buffini (born 1962) is an English businessman and governor of the Wellcome Trust. He was formerly head of the private equity company Permira. Born in Leicester in 1962, the son of an African American serviceman and a British woman, he was educated in Leicester and graduated in law from St John's College, Cambridge, and has an MBA from Harvard Business School. Out of a list of 100, Buffini topped the list as the most powerful black male in the Britain by New Nation. He also ranked number three by the Times Power 100 for people who hold sway over British Business. Boasting power and influence, together with a personal fortune of between £100m and £200m., Buffini was appointed to then Prime Minister Gordon Brown's business advisory panel. Buffini worked for LEK Partnership, and under the firm's scholarship scheme undertook an MBA from Harvard Business School. On return to the UK he joined Imperial Group working as a management consultant, before being recruited by Jon Moulton (now head of rival firm Better Capital), in 1988 to join Schroders leveraged buyout team, known then as Schroder Ventures Europe. Buffini became a partner in 1992, and promoted to Managing Partner of the UK business in 1999, and Managing Partner in 2000, just before he led a management buyout group and renamed the firm Permira. Buffini took home £3.2 million plus bonuses in 2004. Buffini was also a non-executive board member of SVG Capital plc and chairman and co-founder of the Social Business Trust. He is also a main board member of the Royal Shakespeare Company and a trustee of the Royal Anniversary Trust, which administers The Queen's Anniversary Prizes for Higher and Further Education. In September 2012 Buffini was appointed to the Board of Governors at The Wellcome Trust. Buffini was knighted in the 2016 Birthday Honours for voluntary and charitable services. Married to a solicitor Deborah, the couple have three children and a family home in Weybridge and a city flat in Wandsworth. Buffini plays tennis and golf, football for a local amateur side, and supports Arsenal. 1 2 3 4 "Damon Marcus BUFFINI". 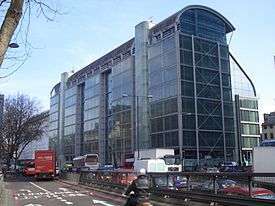 companieshouse.gov.uk. London: Companies House. Archived from the original on 2016-03-24. 1 2 Anon (2016). "Board of Governors". wellcome.ac.uk. London: Wellcome Trust. Archived from the original on 2016-06-22. 1 2 3 4 5 "Profile of Buffini at Permira". permira.com. Archived from the original on 2007-07-09. ↑ Tom Rawstone (2007). "King of the private equity bounty hunters - but how did he do it?". dailymail.co.uk. London: Daily Mail. Archived from the original on 2015-07-11. ↑ The London Gazette: (Supplement) no. 61608. p. B2. 11 June 2016. ↑ Jill Treanor (2007). "Profile: Damon Buffini, The football fan who calls the shots". theguardian.com. London: The Guardian. Archived from the original on 2016-03-18.